Based in East Belfast, Terra Nova Productions is Northern Ireland's only professional theatre company to place intercultural work at the core of what they do. Their mission is to collaborate with people of different cultures from a base in Northern Ireland, exploring where cultures ‘meet, mix and explode’. Their intended audiences and participants are two-fold. 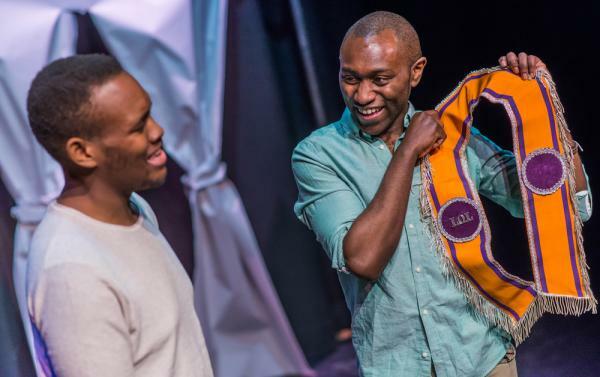 Firstly they engage ethnic minority audiences and participants, providing a place in Northern Ireland's professional theatre sector where ethnic communities can see themselves, their lives, and stories represented on stage. Secondly their activities engage the indigenous population enabling expression of the views, values and beliefs they hold about our changing society; creating experiences and processes where all of the people can mix, learn and share. ‘Arrivals2’ was an intercultural theatre production created through a set of intercultural storytelling workshops and masterclasses. The project, exploring the stories of Northern Ireland’s 2nd generation immigrants, was a follow on from ‘Arrivals’ in 2013. 30 multicultural storytelling workshops to 372 participants were delivered through two sets of workshops to both indigenous and migrant communities in South and East Belfast, who have experienced a huge increase in anti social and racist behaviour and attacks. The workshops gathered the groups' thoughts, views and experiences of living in Belfast as a 2nd generation immigrant. The main measure of success was the reaction to the workshops by participants. Their input and active involvement in the process made the discussion and learning that took place incredibly valuable. These discussions, around immigrants, identity and stereotypes will have a huge impact on the relations between the indigenous population and the new immigrant communities setting up home in Northern Ireland. A real measure of the success of the project was the number of groups who were involved in the workshops who then continued to engage with the programme throughout, and in particular came to see and had ownership over the final production.